The ancient continent of Wu is a place where cultivation is law and the strong reign supreme. Thousands fall to their knees when the strong appear, and rivers of blood flow when they’re angered. A peak expert known as Xie Di fell and was reborn in a young man beaten into idiocy. He lost all of his memories and his cultivation was crippled, causing him to be despised by all. To rid his shame and fight against the destiny of being toyed by others, the young man cultivated with all his strength, killing experts, and splattering the whole country with blood. All until the day he becomes a martial god who shatters the firmament and scorns mortals. Another shallow and insipid chinese novel. The MC is crippled with his 12 Meridians destroyed which means he has no way to cultivate yet soon as he regains his memories (more on that later) he in a single night heals all 12 Meridians to full health because of some bs divine cultivation art he practices. Question: If having all your meridians destroyed means you can't cultivate how can you CULTIVATE and heal ALL your meridians in a single night? The author had even just stated even trying to heal one meridian... more>> is a 10% success rate. On regaining his memories, supposedly 3 months have passed since all this has happened and somehow he dreams of his past life. The death of the supposedly the love of his life is used as the trigger to awaken BOTH life's memories. This plot device is so paper thin that it's transparent, oh did I forget to mention soon as he heals his meridian the author decides to have him show off he is fully healed? Yeah very hard pass. This novel, I have to admit, is pretty bad in the first ten or so chapters. Overpowered, plot armor, admittedly not super likable MC as the other reviewer might have mentioned but after you get past that, it becomes a lot better. There's more depth, an interesting plot, and just makes the first ten or so chapters look like a total joke. 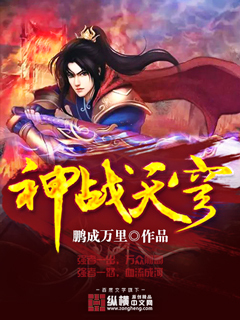 I wouldn't call it as far as a bad novel, but this one is indeed an average xianxia novel. There's no truly superb quality, it's just acceptable. Might be good if you want some xianxia reading, but that's it.